Are you always on the hunt for new and interesting beers to excite your taste buds and reignite your passion for craft beer? Listen up! This brew series is for you. 1. 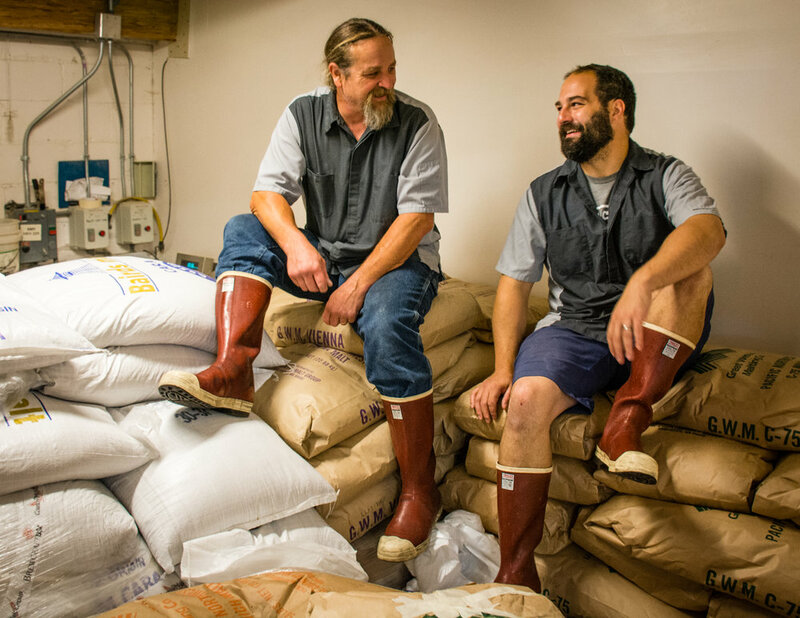 These brews are created in part by our beloved cellar guys! It’s an opportunity that calls for collaboration and creativity between the cellar and brew deck. 3. It’s experimental. The series calls for outside-the-box-thinking and one-off brews that are unique, interesting and exciting. The Cellarman Series was born out of a desire to add wildly delicious, brand new seasonals to the line-up, create an avenue for our cellarman to showcase their creativity and be more involved in the brew process. Brewers and Cellarmen draw straws to decide the partnerships behind each beer. Together, they’re given the creative license to create a masterpiece of their own desire. “The cellarman series is one of the more innovative series we have. People who like new, exciting stuff can follow the series and keep their eyes open for more releases. We don’t see the end of this series anytime soon,” says Brewer Bryan Krueger. So far from the Cellarman Series, we’re seeing higher-end, niche, unique stuff--the kind of stuff not seen everyday. Thirsty Ghost, for example, is made from ingredients not common to brewing and cost quite a bit more to produce than our typical brew. It's complexity and flavor offers a totally different experience than anything else on the menu. And that’s exactly the intent of the Cellarman Series. Named after our antique Bung Extractor, the Munzinger is a light-bodied IPA with a deep-golden color and white vibrant head. Citrusy notes from Citra and Motueka hops combine with a dry finish to welcome the warm, sunny days of summer. Thirsty Ghost is a hybrid style with elements inspired by Sake and Kolsch. Using a blend of three yeasts (two of them uncommon to beer brewing; sake yeast and white wine yeast), our double-dragon team of brewer and cellarman transformed mere rice into this Pan-Pacific delight. A deep-golden straw appearance, aromas of pear, apple, and banana, and mild earthy & coconut notes journey your tastebuds in an unknown frontier. Don’t be haunted, drink this beer before it disappears. Up next to design and brew a series beer! What thirst quenching concoction will they come up with? Stay tuned to find out. They'll hit the brew deck in August!